We all have those pans in our houses. Those pans that are covered in baked on, nasty, sticky grease. Those pans that the dishwasher just can't get clean. And what do we do with those pans? We just keep on using them, building on the layers and layers of baked on, heated on grease. The other day I was washing dishes, and I realized that I just couldn't take it anymore. We have a wonderful pan that had the bottom coated in grease. I didn't want to use steel wool or an SOS pad, since I don't like scratching up the pans. I have used baking soda in the past as a non-abrasive cleaner, and I don't know why I never did it with this pan. So after cleaning the inside of the pan, I flipped it over and sprinkled some baking soda onto the caked on grease. I left it for about a minute, and then used a wash cloth and a little elbow grease to scrub the baking soda into the grease. The result was amazing. I know this is not a huge secret. In fact, we use baking soda for so many things around the house - diaper pail deodorizer, non-chlorine whitener in the washing machine, toilet bowl cleaner, counter top stain remover, and glass-top range cleaner. Baking soda is a wonderful product to have around kids in place of harmful chemicals. looking for a safe alternative to Teflon after a pan of ours started flaking pieces of the coating into our food. I did some research, tried a couple of plans, and finally settled on the Ozeri smooth stone-derived pan. It is amazing, and if you are not happy with your non-stick pan, you should check this one out. 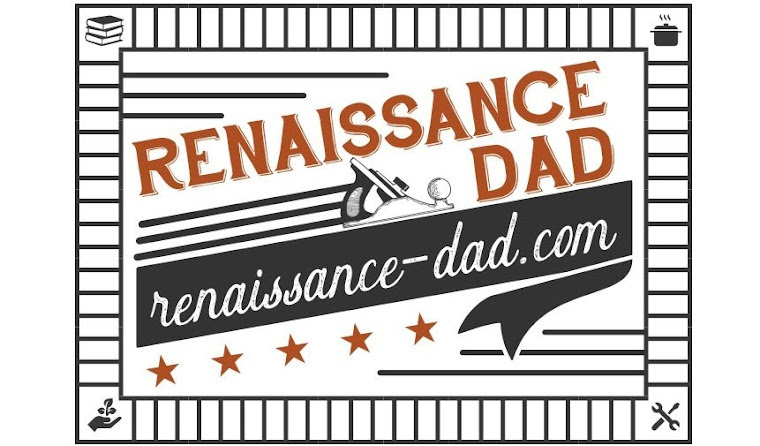 So get your bulk supply of baking soda, find a chemical-free pan, and happy cooking, Renaissance Dads and Moms!